Jhoira tells Teferi about the Multani face, and after he takes a teleport trip with Venser, it's time to decide what to do next. It's brainstorming time. Shall they just have Venser take them teleport-hopping deeper and deeper into the forest until they get to the rift? Something like that will surely catch the forest's attention. Jhoira says no. It might be the wrong kind of attention and it might mistake them for enemies. They need to contact Multani first. So how do they contact him? Teferi suggests a fire. Fires are natural, the forest probably deals with fires all the time. Jhoira of course thinks that's a dumb idea. There is no way the forest would take kindly being set on fire. Even if they made just a small fire on the beach. Jhoira suggests building some kind of signal device, and this time it is Teferi that vetos the idea. The forest definitely will not appreciate artifacts within its boundaries. 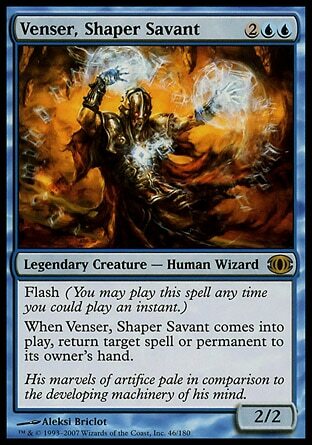 Venser chimes in and suggests he take them to the top of the canopy. It should be strong enough to hold them, and if not he'll just teleport them back. 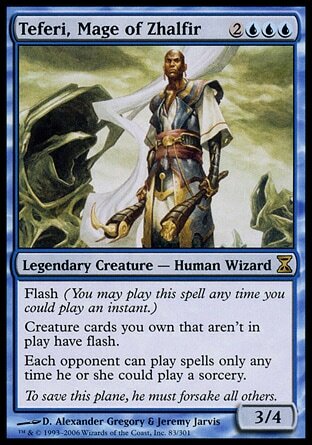 Teferi likes the idea and takes the idea a step further. Why doesn't he take a trip the Blind Eternities and come back. 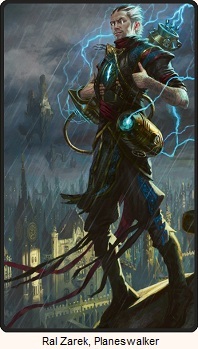 The clear signal that a planeswalker has arrived might call up Multani's attention. Jhoira thinks to herself that Jeska was right, Teferi's too caught up in wanting to just experiment and witness results rather than trying to be smart about things. She shoots down Teferi's idea. 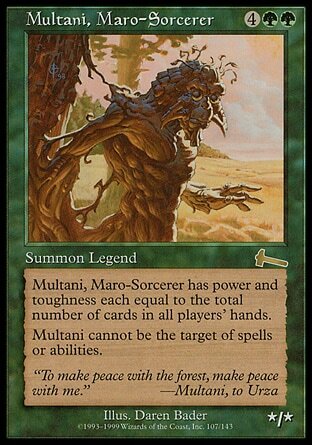 Multani once imprisoned Urza long ago, and the same could happen to Venser. They should stick with Venser's original version of the plan and just teleport to the canopy. It is a place closer to the central consciousness of the forest, and they can try contacting Multani from there. One teleport later, they still have to figure out what to do. Jhoira decides to go with the fire idea, but one does burn any of the forest and is fueled one-hundred percent with magic. She suggests that Teferi phase something out, and he realizes there would be nothing better than to flash his staff in an out of existence. A staff that filled with blue mana he's been storing in it. Jhoira and Teferi each walk ten paces away from Venser in opposite directions and do their thing. 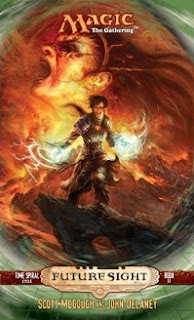 Jhoira with her fire and Teferi and his staff. After a few moments, Multani speaks, but just barely. Jhoira calls out to him and says they need his help. 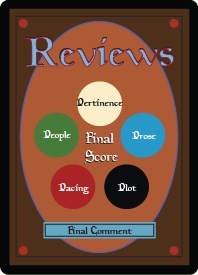 When Venser speaks, the wood beneath him breaks and vines sprout, tangling amongst themselves. The whole canopy tilts and puts all three of them off balance, and Jhoira watches as the vines take the shape of the forest's avatar. Multani walks straight to Venser and gives him a bear hug, absorbs him into his body, and then jumps down into the canopoy's mouth. 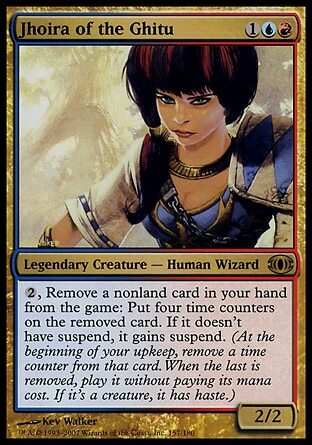 "Multani, Venser is our friend and ally," she said. "Where have you taken him?" Teferi peers down into the mouth and tells her he doesn't think it's just a simple hole in the canopy that leads to the ground. Multani asks them to follow and Jhoira just hopes they can trust their former ally, and the two of them jump on in. I enjoy the thorough pacing of this whole trilogy. Unimaginable events are happening that may cause the destruction of everything, yet a whole chapter was dedicated in just figuring out how to talk to an ally who may or may not still be alive. This whole trilogy isn't about going in with guns blazing, and rather is about puzzling out what to do every step of the way. The pacing chosen is a perfect fit. Everyone's always interested in Venser. What is it that Multani sees in him? We know that Venser can't seal the rift. That kidnapped certainly caught me off guard.